The Message in a Bottle scheme, which is free to all who need it, is aimed at the more vulnerable people in our community. As a minimum it will save the emergency services valuable time identifying someone in difficulty and will quickly provide his or her emergency contacts. Users will be asked to complete a simple personal information form (with the help of a family member or carer, if necessary), and place this in a readily identifiable white container bearing a green cross. This is then placed in their fridge where it can easily be found in the event of an emergency, as indicated by green cross stickers placed on the inside of the front and back doors and on the fridge door. By indicating if they have current medical conditions or any allergies, it is a potential lifesaver and provides peace of mind to the user, their carer, and their family. The information will include essential personal information and a photo, as well as their doctor and pharmacist's contact details. In completing the form the person is urged to state where their medicines are kept. The emergency services, HSE ambulance teams, Dublin Fire Brigade, and the Gardai support the Lions scheme. If called to an emergency, upon seeing the stickers, they will immediately collect the vital information from the fridge. Bottles are available at the Citizens Information Centre in the Library, the Garda Station, McCabe's Pharmacies at Malahide Shopping Centre, The Diamond and Yellow Walls Road, and The Medical Hall on Church Road. 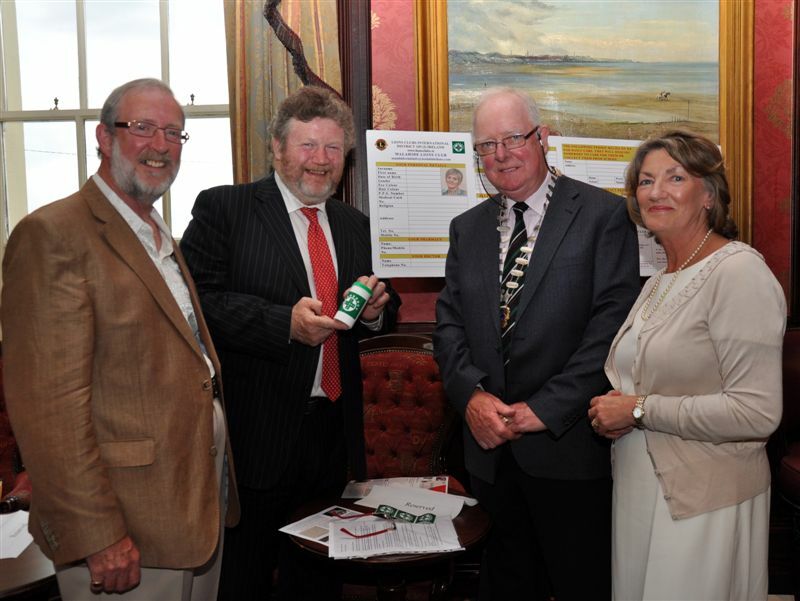 Community organisations like the Active Retired Association, St. Sylvester s GAA Club, and the Carers Association are distributing bottles to their members. One professional care company, Home Instead, are issuing bottles to all their clients as well as assisting them in completing the personal information form. To date, nearly 500 bottles have been issued and plenty more are now available. The Minister for Health has complimented the Lions for introducing the scheme.